Zhang Yaqin, a Microsoft veteran who has been credited with driving Microsoft’s R&D efforts in China, is leaving the software company for personal reasons. [Update] Baidu announced that he would join Chinese search giant Baidu as president for new business. He would report directly to Robin Li, the co-founder and chairman of Baidu. 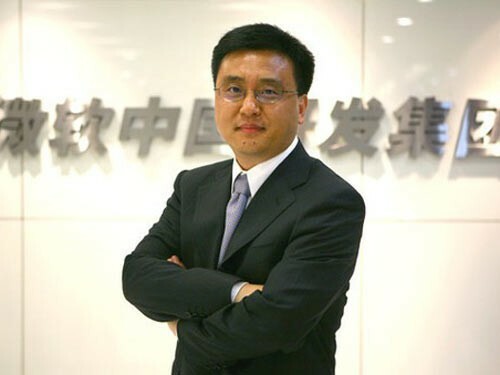 Zhang worked as cooperate vice president of Microsoft and chairman of Microsoft Asia-Pacific Research and Development Group. He led more than 3,000 engineers and scientists engaged in basic research, technology innovations and incubation, product development and strategic partnerships, according to the report. The now 57-year-old Zhang joined Microsoft as chief scientist at Microsoft Research Asia in 1999. After taking the post as chairman of Microsoft Research Asia during 2000 to 2004, he worked as vice president to oversee Microsoft’s mobile and embedded division, including Window Mobile and Windows CE platform. Since 2006, Zhang is responsible for driving Microsoft’s overall research and development efforts in the Asia-Pacific region. In recent years, Chinese tech companies like Baidu and Xiaomi has been voracious in snapping up high-profile talents from global Internet giants such as Microsoft and Google in a bid to boost their international businesses and management levels. Baidu hired Andrew Ng, formerly head of Stanford University’s artificial-intelligence lab, earlier this year to lead its new R&D center and Baidu Brain plan. Hugo Barra, former vice president of product management for Android, left Google for Chinese smartphone maker Xiaomi as Vice President of International last year. Zhang Hongjiang, a founding member of Microsoft Research Asia Group, left the software company and join Kingsoft as CEO in 2011.